Do you love candles? Many people do! I know that I have often benefited from the spiritual energy that candles possess. Lighting a candle is an ideal way to make saying your affirmations or positive thoughts even stronger. 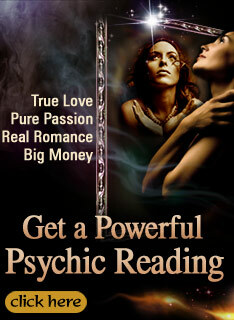 You can create your own special spiritual exercise or ritual that has great meaning to you. It is important to focus on your spirituality and to spend time increasing your positive energy. What is the meaning of candles? Candles have been used by religions and spiritual groups around the world for centuries. Many light candles to remember a loved one who is now on The Other Side. Candles are used to celebrate and used for special ceremonies. It is no surprise that candles themselves represent unity, peace and love. One way to use candles is to light a candle as you say your affirmations. Affirmations are defined as positive thoughts that you wish to bring into your conscious world. Many like to think of this as a positive thinking exercise. Saying your affirmations with a lit candle can help make this an even more special time for you. You can say affirmations for any purpose: health, abundance, relationships/love, career, success and anything you desire in your life. Simply create a statement that is positive that you would like to attract. Light your candle and focus on your affirmations. When you light a candle, this is also an ideal time to surround yourself with God’s white light. This white light is available for each and every one of us, simply by requesting it. This white light is actually God’s sacred aura. You can feel God’s love and compassion whenever you need it the most—or just everyday! A wonderful ritual is lighting a candle and asking for God’s white light to surround you. Many people like to burn a candle for love or for relationships. Burning a rose-scented candle is ideal for love and romance as you say these heart-felt prayers. You can also burn a candle for your family. Consider burning a candle for every member of your family at the very same time! These are wonderful rituals to honor and treasure your relationships. Surround your loved ones with God’s white light as you pray. People are often drawn to various colors of candles to use for different purposes. Just as the rose-scented candle is ideal for love and romance, you may feel other candles are ideal for other prayers and purposes. What someone else says about the color is less important than what you yourself feel about the candle’s color. Hold the candle and just feel if this candle is right for this specific intention. Know that you will always choose exactly the right candle. P.S. Lighting candles is a wonderful ritual. Bring candles into your life with my book Light a Candle. Learn how candles can bring warmth and joy into your world. I have started using a candle to pray everytime I say a prayer to God. It makes me feel that God is listening to me and I feel a sense on oneness. I have a new thing that I'm trying to do that is to light a green candle when I'm asking for a financial blessing or for abundance to come my way. I do believe in this and I do believe that doing this brings goodness to your overall being. From the beginning of life to the end, I,ve learned it all sums up to be love. Love cures all as the old saying goes. I know it hurts when others cannot accept your love, but I pray your heart heals and you will continue to love those around you. The flame of GOD is the spirit of man. I light candles for people who have passed on and then meditate on the good that this person did throughout his or her lifetime and I feel an immediate connection and serenity. Sylvia's Affirmation: Sometimes it seems like we are too busy to take time for each other. But people are important, special, and we all have meaning that matters. Take the time to express love, gratitude, appreciation, and show that you care. A MESSAGE TO NAOMI: You have many beautiful insights, you are very loving, patient, and compassionate person. Everyday I standby my beliefs even though many do not agree with and unfortunately many get angry at me and try to convince that I'm wrong because I have a diffrent point of view therefore I am always the outcast. But those experiences had taught me that not everyone is going to agree with me and that's o.k. because everyone is unique and we all had different experiences which many times creates a different point of view. Through those experiences has taught to accept a person and to get to know someone first and accept them for who they are rather to make them to who I want them to be. Thank you for many beautiful insights. Sylvias Affirmation: Look for ways to show how much you care about the people in your life. Listen deeply to what they say, give them hugs or even just pray for them. Help others and be there for them in their time of need.